Incredible Kids Day Nurseries have literally incredible nurseries in Ashby de la Zouch, Hilton and Pride Park Derby. Their old website was not performing for them and so they approached DLZ Design to help. The existing website was neither being found, or converting visitors and the company were spending significant amounts of money on radio and print advertising. We developed a completely new WordPress website which shows off their (incredible) facilities and will perform better on search engines. 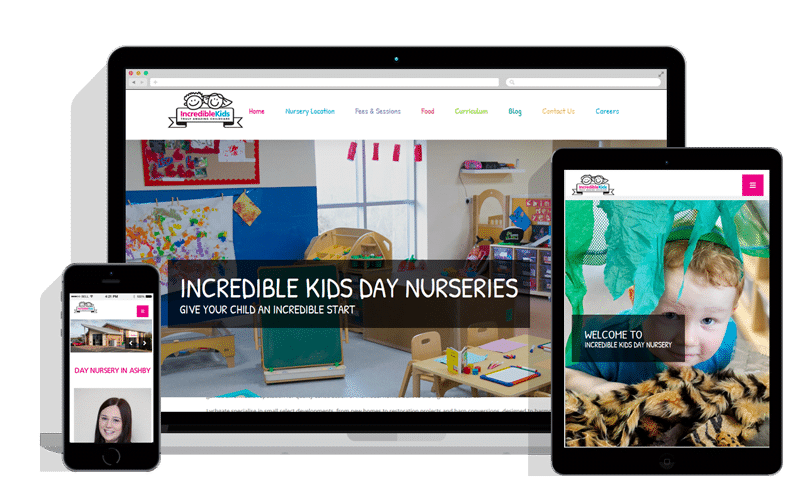 We worked closely with Lisa at Incredible Kids to build a website which they can be proud of.